Argentine Anglo horses are from Argentina. They are well known for their use in equestrian sports. They are lightweight horses that exhibit a refined appearance and excellent performance capabilities. They are also energetic, intelligent, and obedient. 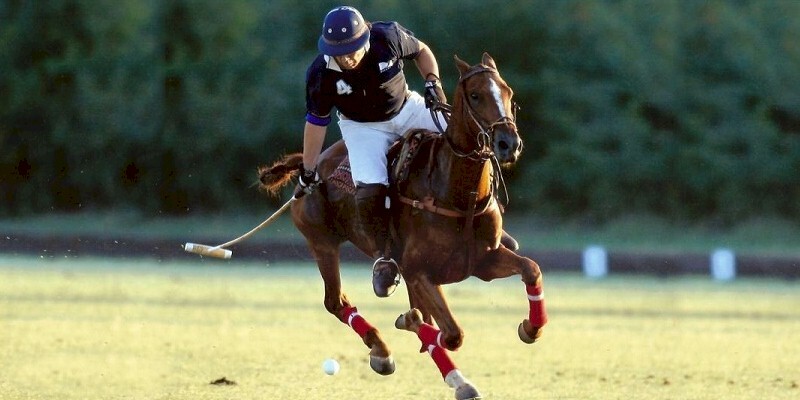 In the 1960s Argentine Anglo horses were developed by crossing English Thoroughbred stallions with Argentine Criollo mares to produce the lightweight polo horses with great fitness and agility. Argentine Anglos are medium sized, have expressive heads, long necks, inclined shoulders, an long and elastic back with a muscular croup; solid legs, strong bones and joints; plus small, hard hooves. They are generally gray, bay, or sorrel and are around 15 hands tall. They are commonly used in Polo, for pleasure riding, and as a show horse. They are healthy, long-lived, and not known to be affected by any breed-specific health issues.